Want to make your visit to London comfortable, then go for Stansted airport taxi transfer services? Get in contact with Minibus Transport Services, especially, if your flight is landing at the Stansted airport. MTS is known for its most upbeat Stansted Airport Transfer Services. Whatever be the situation, time or destination, we make sure that our client reaches the destination in comfort and opulence. For us, every customer is a guest who needs to be served with the best of amenities. 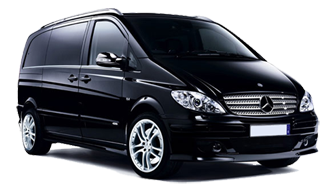 To accomplish this sole motive, we provide a fleet of vehicles, including 7,8,9,12,14 and 16 seater minibus for Stansted airport transfer. Moreover, all our staffs are courteous enough to make your journey comfortable. They will reach the pickup destination in the perfect attire and will make sure that your Taxi Hire for Stansted Airport is hassle free. Being the best drivers of London city, they know the shortest of the routes and hence, there is no chance of sticking anywhere. The drive will be so smooth that the ladies in the back seat can even put their makeup on. Listen to the music, watch the beauty of the dream city, or make an important call while we drive you around the city. Keeping in mind the varying needs of customers, we have tailored our packages to suit every need. We make sure that the client doesn’t fall in the need of altering his budget. Even taxi to Stansted airport can be booked from here. So, do not worry about the budget and give us an instant call at 02034755518.